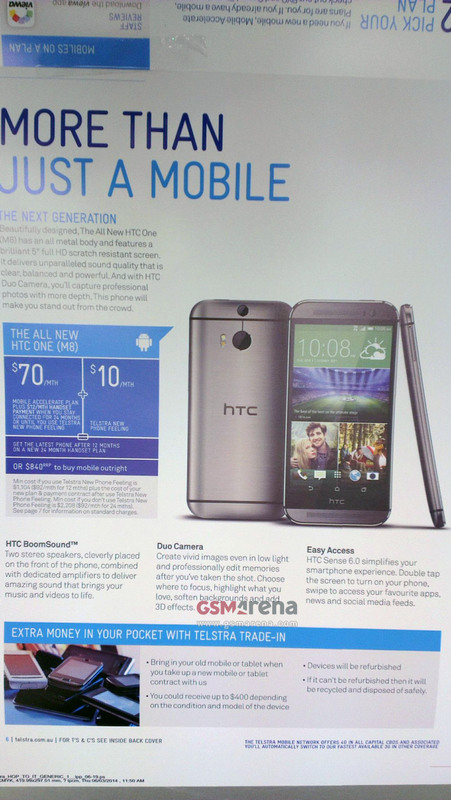 A supposed leaked ad or brochure from mobile carrier Telstra has given us some insight into the “All New HTC One” or HTC One (2014) that has avoided us up until now, even through the countless leaks. The ad talks a few specs, how that dual camera setup works, Sense 6.0, and of course, BoomSound. From a specs front, the ad seems to confirm that the display on this year’s One has been upgraded to a full 5-inches, while remaining Full HD (1920×1080). The ad also mentions that it is “scratch resistant.” BoomSound front facing speakers have returned (but we already knew it would) and Sense 6.0 will make its debut. 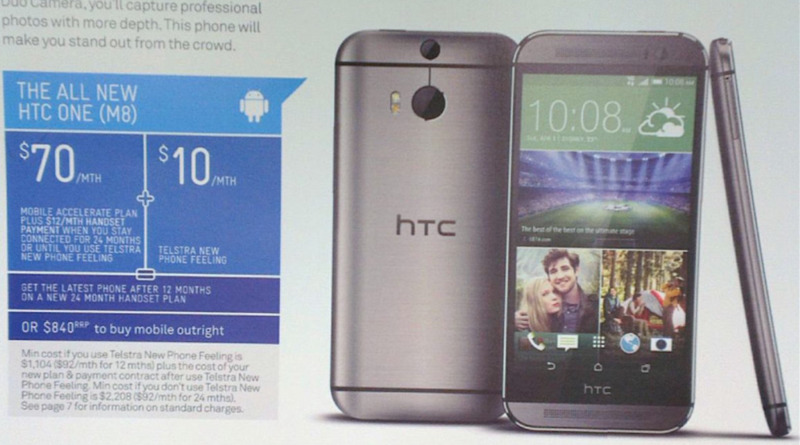 Sense 6.0 – if this ad is to be believed – will feature an LG-like knock or tap gesture to turn on your phone. It mentions that a quick swipe will get you into favorite apps, news, and media feeds as well. That could be mostly BlinkFeed related, but maybe there is a new swiping gesture that will also get you into your most used or favorite apps. And last, the dual camera setup on the “All New HTC One” will officially be called Duo Camera. According to this ad, the Duo Camera allows you to “create vivid images even in low light and professionally edit memories after you’ve taken the shot.” You can “choose where to focus, highlight what you love, soften backgrounds, and add 3D effects.” Sound, neat? You can view the rest of the ad below. Oh, and I would ignore the price since Telstra is out of Australia.